Natural blonde made with henna believe it or not. Imagine being able to or go stay blond, and condition your hair while you color it. We have tried to make a permanent blond for 8 years and a few weeks ago we accidentally discovered it! It is very light blond and can be used to lighten other colors like light brown, brown and dark brown. 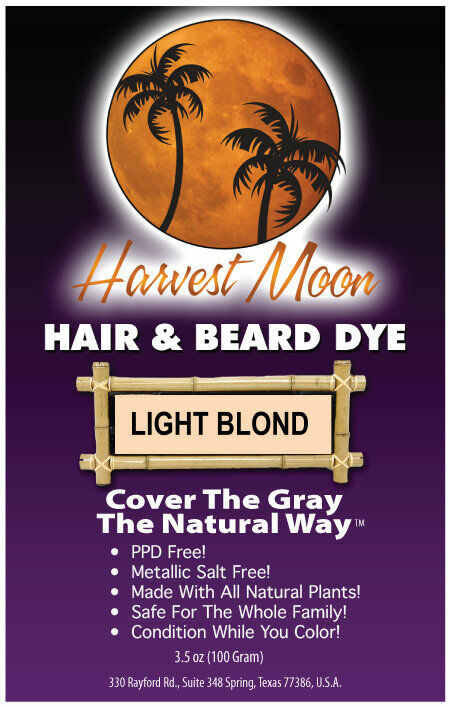 Only works on white, blonde, silver existing hair colors. It will not make your hair lighter and will not be visible on anything darker than blond.